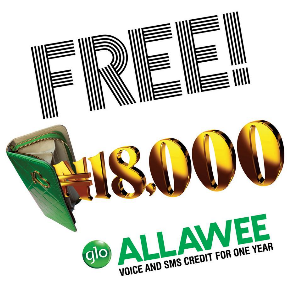 migrate to glo Allawee, don’t be deceive. and nothing like Allawee, instead Allazap. New Etisalat Pay G Trick For Heavy Downloaders. 2. Recharge N100, they give you 5mb or 10mb depending. 3. Start your browsing, preferably downloading. 6. After another 55mins, do the same again. will be reduced to 0.48mb and that will reduce by 10kb after each cycle. Boss, what's up now? Adsense now showing in opera and i have noticed huge drop in ctr and rpm. Could that be the reason? I just heard about MTN BIS on android and PC, is it still working and must I root my android phone? Don't mind google, I believe they re just experimenting with it. Morning Prof Yomi, hope you're good. Please which app can I use to root my tecno phantom Z & the app to change d imei too. Hi prof av root my h6 but whenever I want to change my imei it's keep saying "dis command is not allow in userbuild"
Prof if I may, sorry for the error message. Put a space between AT and +. I love the one house spirit in here always helping one another. @anonym, go to playstore and download engineering mode mtk the use it to change ur imei. please Prof I need the first eight digit imei of the following devices. please help me with anyone you know please. You are right. to add your partner, it depends on the package you are in. if you are on iPulse, dial *390*1*Phone Number# to add a best friend forever and if you are on truetalk or smoothtalk, dial *380*1*Phone Number# to add that special number. Prof. I've been requesting to be added to the whatsapp group like forever now..
King root or kingo root ? Bro, you must have internet connection. Install the app and open, wait for some seconds for it to full load and tap on the circle button, ur device will be rooted and tap on the blue tab below the circle. Download rootchecker from play store to verify root access. how can tweak my imei number ? Pls prof can I use the etisalat payG on my iphone 4? And if I do it how many days will it last for? Is it going to work for just a day?